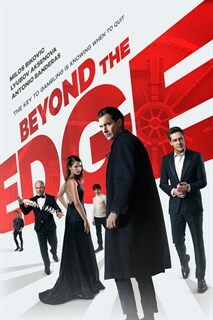 Beyond The Edge is an adventure story full of mysticism, love and thrills. Michael (Milos Bikovic) is a talented gambler who can only count on himself. He devises a bold scheme at a luxury European casino, but soon finds himself up against a powerful rival with mystic powers. Michael quickly loses everything and ends up owing an enormous debt to a dangerous group. Desperate for a solution, Michael gathers a team of experts with supernatural abilities to pull off the biggest heist of his life.